Recently, celebrities have been posting throwback photos of themselves on their respective Instagram accounts. Check out their cute photos here. Dawn Zulueta posted a photo on Thursday, December 14, of her thirteen-year-old self back in 1982. She was posing in front of a poster of Duran Duran singer Simon Le Bon. Netizens commended Dawn for her timeless beauty. 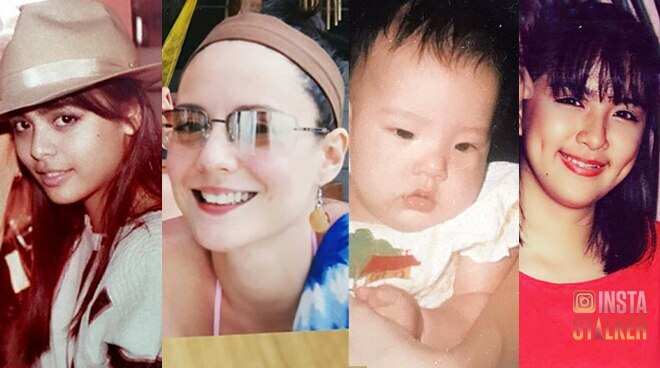 Maxene Magalona reminisced on her baby days by posting a photo of her with her dad, the late Francis Magalona. Ara Mina shares this throwback photo from her That’s Entertainment days. Chesca Garcia-Kramer also posted a throwback photo with her husband Doug Kramer. The photo of the couple was taken in 2003.